Leisure centre, gymnasium and sports centre paints, varnishes and coatings are now available to buy at Rawlins Paints, all offering long-term protection, colour rejuvenation and visually pleasing aesthetics to compliment your company's branding. From hygienic paints and coatings for locker and changing rooms, kitchen and cafe facilities, to multi-surface paints for activity areas, reception bays and conference rooms, there has never been a better time, or selection of products, to conduct low-level maintenance work or re-brand and re-launch a leisure centre in 2017. The focal point of many leisure centres is the swimming pool, from paddling pool to Olympic size, and with the right swimming pool paint, downtime can be kept to a minimum as refurbishment work is done in time for the summer holidays. The surrounding walkways and showers may also need an anti-slip coating or scrubbable paint for the walls, all available at rawlinspaints.com with free postage and packing on all orders over £75. Zinsser Perma-White paint is a durable, water-based, very low odour finish containing a biocide that protects the dried coating against mould and mildew - guaranteed for 5 years. It is ideally suited for any area of persistent high humidity, frequent temperature changes and poor air circulation. 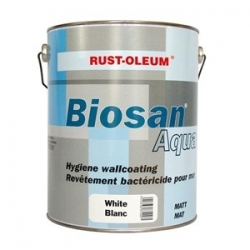 Rust-Oleum Biosan Aqua Plus is a water-based 2-pack anti-bacterial topcoat for walls and ceilings where hygiene control is essential, like hospitals, kitchens, dairies, breweries, schools etc. Whilst offering exceptional abrasion resistance, it is also water dilutable, solvent free - almost odourless - and easy to clean. 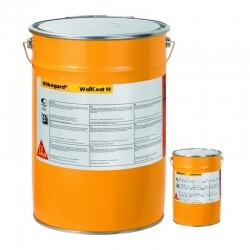 Ideal for walls and ceilings where hygiene control is essential in low wear areas. Offers high durability, perfect saponification resistance, particularly high covering capacity and helps to maintain a hygienic environment. 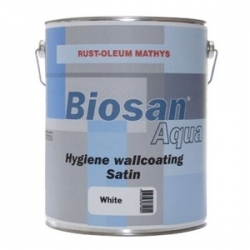 Ideal for walls and woodwork where hygiene control is essential in low wear areas. Offers high durability, perfect saponification resistance, particularly high covering capacity and helps to maintain a hygienic environment. A 2 pack, solvent free, hygienic floor coating from Rust-Oleum for areas where controlled hygienic conditions are of essential importance and where high durability and abrasion resistance is needed. Taken from Rawlins Paints' blog-post 'A Guide to Swimming Pool Paints and Primers' - When it comes to painting a pool you have to think about a lot. Not only is water involved, but there’s also chlorine to deal with! If you don’t get the right products for the job, the paintwork in and around your pool won’t last very long. Additionally, the right swimming pool paints can help to extend the life of your pool area. Standard paint won’t last well in swimming pool conditions even out of the water so you should use specialist paints. Zinsser Perma-White Interior is an excellent product for the decoration of walls, ceilings and trim around the swimming pool. It is a durable, water-based, very low odour finish containing a biocide that protects the dried coating against mould and mildew – guaranteed for 5 years. It is ideally suited for any area of persistent high humidity, frequent temperature changes and poor air circulation. Another option is Mathys Fassiclor Swimming Pool Paint. 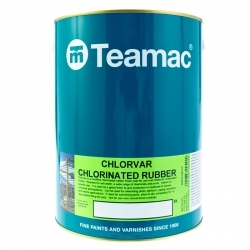 This paint is another strong choice for pools as it’s a product with fantastic water resistance. As it’s a decorative paint, you can choose a stunning satin finish so your pool always looks great. Again, you can use this paint on your interiors or exteriors. The best thing about it is that it’s fast drying too! For swimming pool paint coating application, see this post. Leisure centre floors are frequently cleaned of spills and footfall traffic dirt, therefore the floor coating should be an anti-slip and non-skid one, for public and staff safety. These decorative floor paints can have paint additives added to them to enhance the underfoot texture in areas where customers are barefoot - such as in bathing and changing areas around pools. Easy to clean, durable and available in many colours, if maintained correctly these floor coatings will last for a substantial amount of time. For soft-play areas, Sika Floor have a range of ComfortFloor products, designed to deliver high functionality in demanding pedestrianised internal areas, without compromising on aesthetic and underfoot feel. Commonly seen in museums and other public buildings where customers, visitors and staff may use application and demonstration equipment, it is an excellent product for reception areas, hallways, conference rooms and viewing areas/balconies at leisure centres overlooking indoor courts.